If, in 2008, you had told me that Kimi Räikkönen would put a Ferrari on pole position nine years later at Monaco, I would have thought you were crazy. Yet here we are. 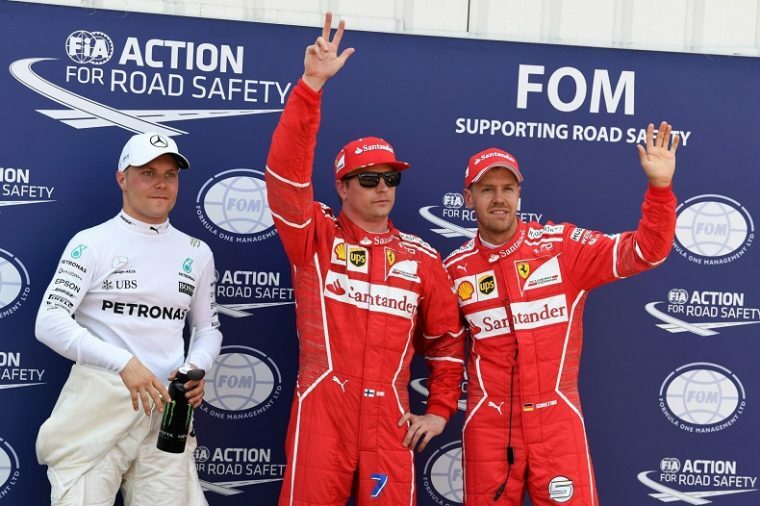 Four weekends ago, when the Formula One circus was in Sochi, Russia, Ferrari locked out the front row in qualifying for the first time since the 2008 French Grand Prix, which incidentally had also been the race where Kimi Räikkönen had last topped the timing sheets on a Saturday. 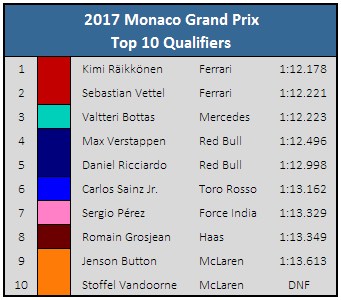 It was Sebastian Vettel who set the fastest time in Russia, though Räikkönen never seemed far behind, and now the positions have been reversed in Monaco, with the Finn setting two new records along the way: one for most races between pole positions (128) and one for the fastest-ever lap around Monaco. It’s not easy getting around Monaco unscathed, and all three 2017 rookies discovered that the hard way. Lance Stroll crashed into the barriers in the second practice session, followed by Esteban Ocon in the third; and Stoffel Vandoorne—who had been absolutely flying—also fell victim to the wall in the second qualifying session (Q2), though not before he had secured a top 10 grid position. As three-time World Champion Nelson Piquet once put it, “driving in Monte Carlo is like riding a bike in your house.” It’s hard not to knock into something. The story of the day, however, besides Räikkönen’s brilliant pole, was Hamilton’s strange lack of pace. He was miles behind teammate Valtteri Bottas and couldn’t seem to put in the lap he needed to get his Mercedes into the final qualifying shootout. In the final moments of Q2 he looked as though he would finally pull it off, but his tardiness in doing so cost him, as Vandoorne’s crash brought out the yellow flags and prevented him from completing the lap. Meanwhile, Jenson Button, standing in for Fernando Alonso—who I will see race at the Indy 500 tomorrow—qualified 9th in the McLaren, though he’ll be taking a 15-place grid penalty for an engine component change. That will put Hamilton 13th on the starting grid, who will have to do his best tomorrow to make his way up the field and minimize the gap in points to Vettel in the fight for the championship.